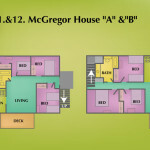 McGregor House “A” and “B” are two units which are respectively the upper and lower levels of McGregor House, a large house near the water that was once the home of an earlier owner, and has a spacious ‘house’ feeling. 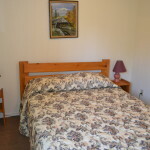 While the upper unit “A” and lower unit “B” are separate units, often two related families or close friends like to book both units in order to be in close proximity. 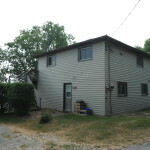 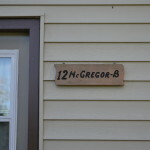 Both units are 3 bedroom units McGregor “A” has 2 singles in one bedroom, a queen in the master bedroom and a double in other bedrooms. 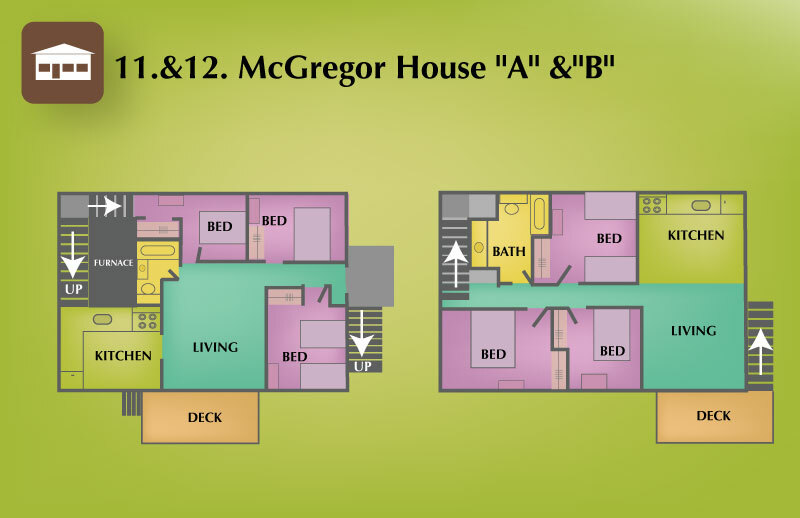 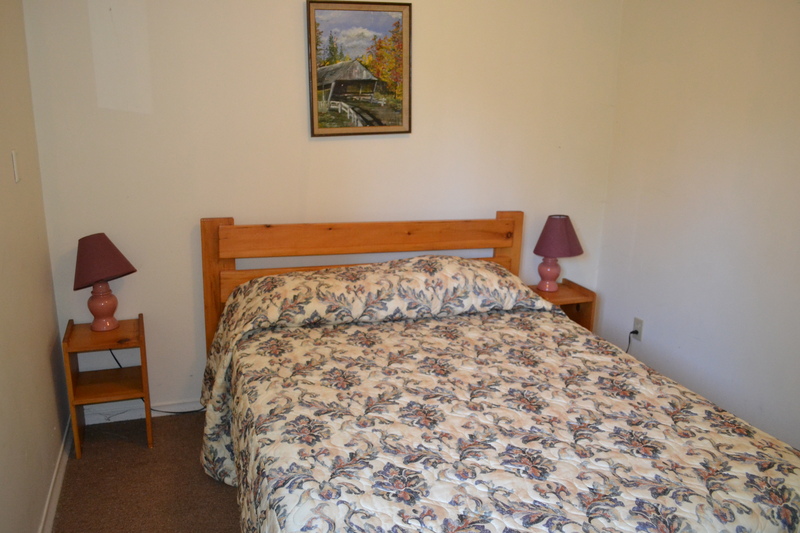 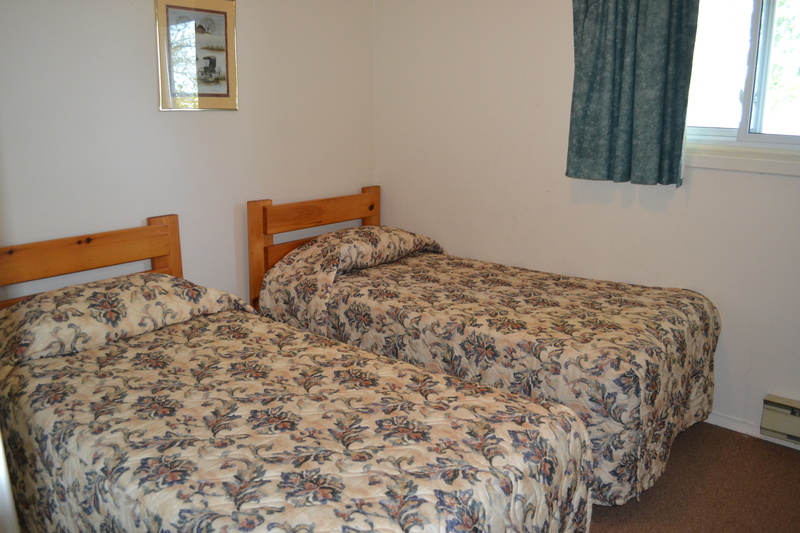 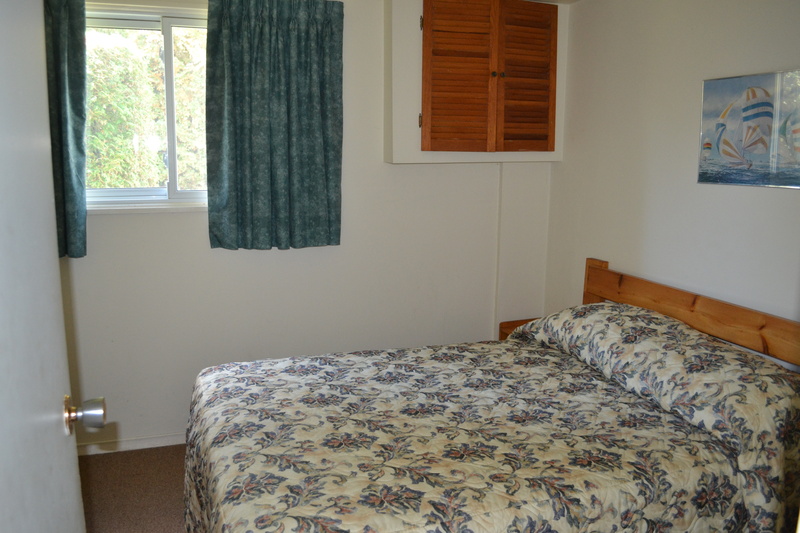 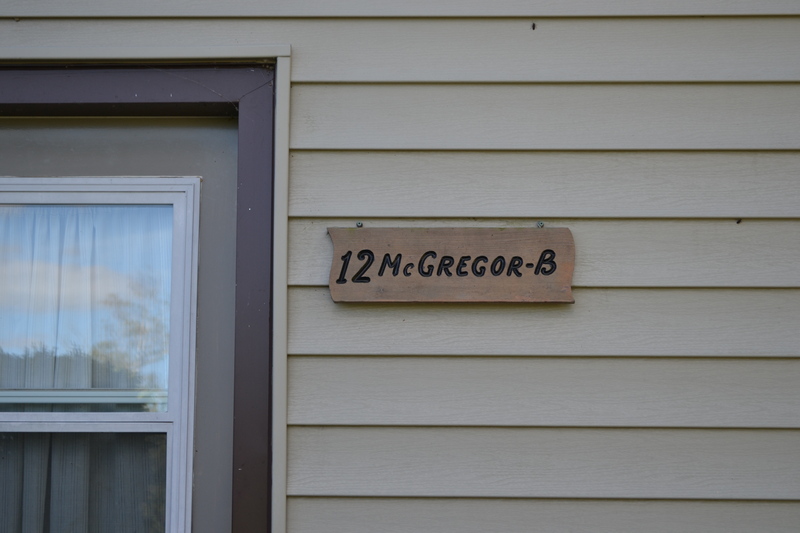 McGregor “B” has 2 singles in one bedroom and double beds in other two bedrooms. 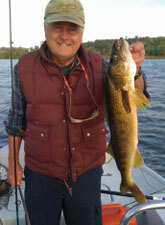 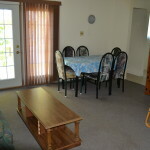 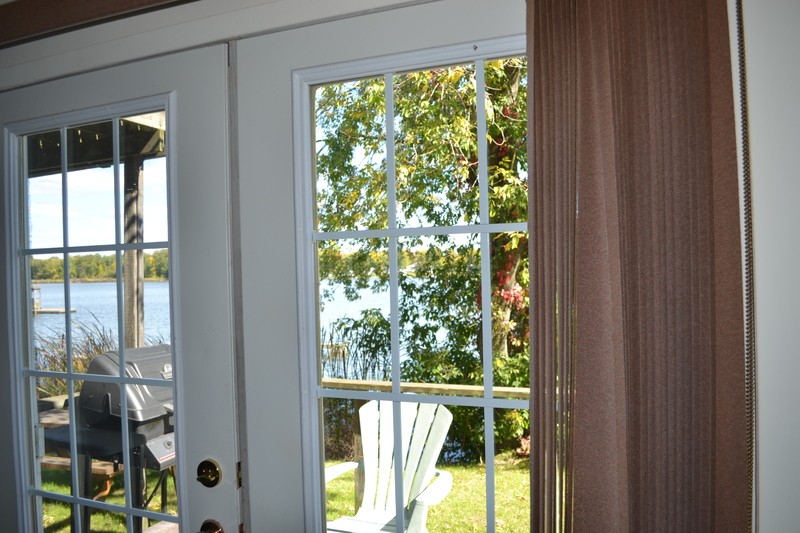 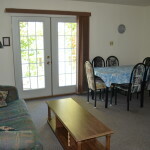 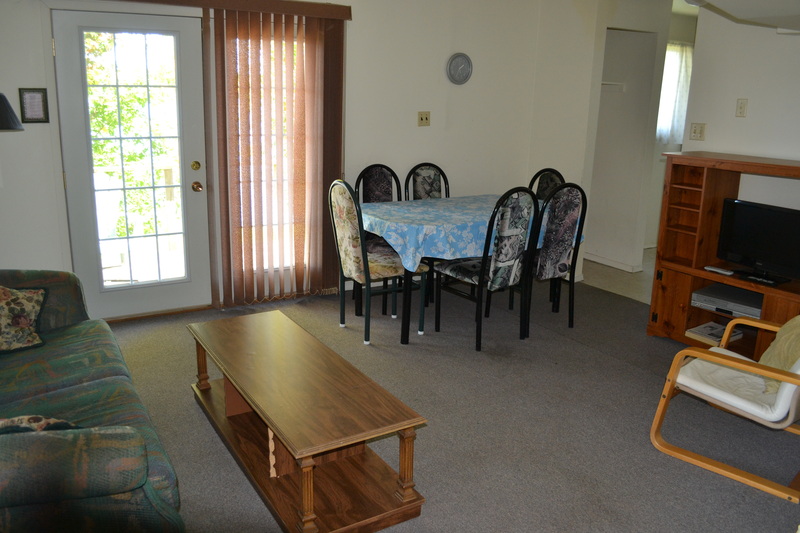 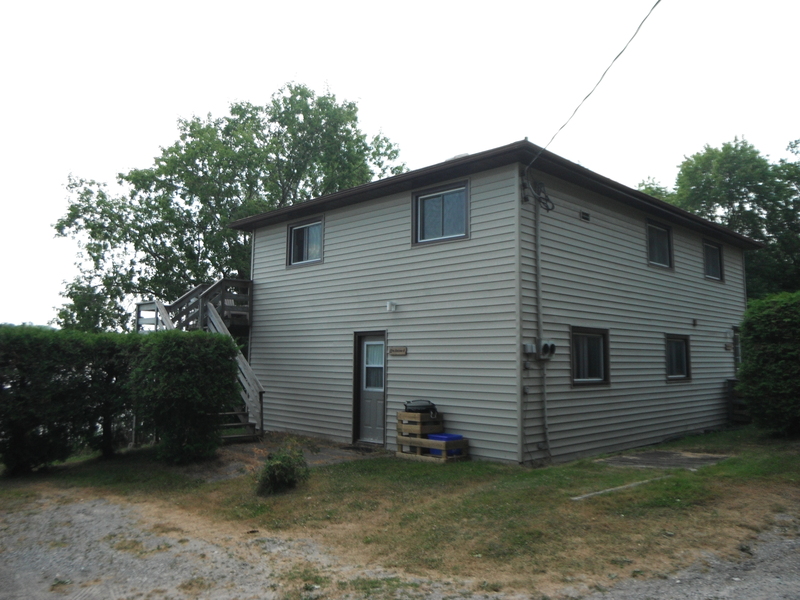 Located just beside the lake there is docking right at your doorstep. 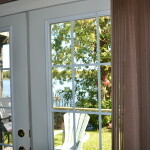 The beach and kiddy pool are close by. 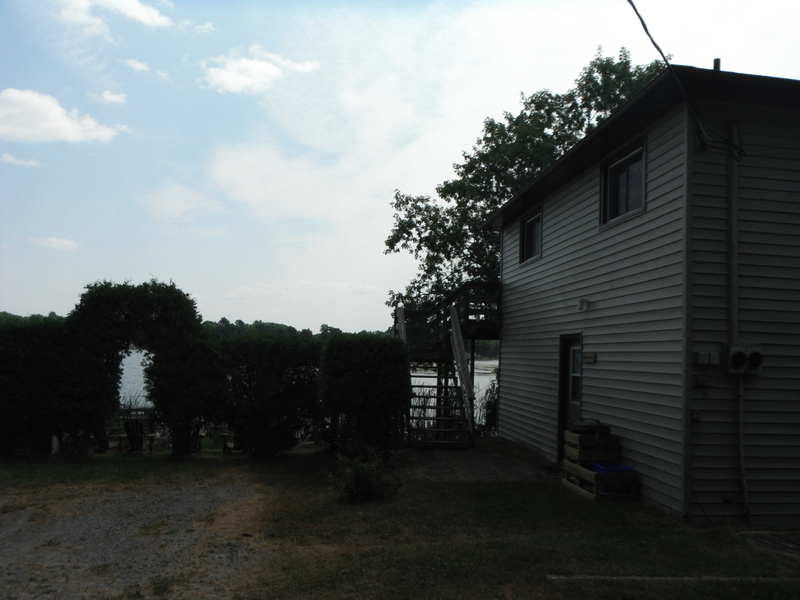 The upper unit has exit to the ground level both from the exterior deck and down an interior staircase. 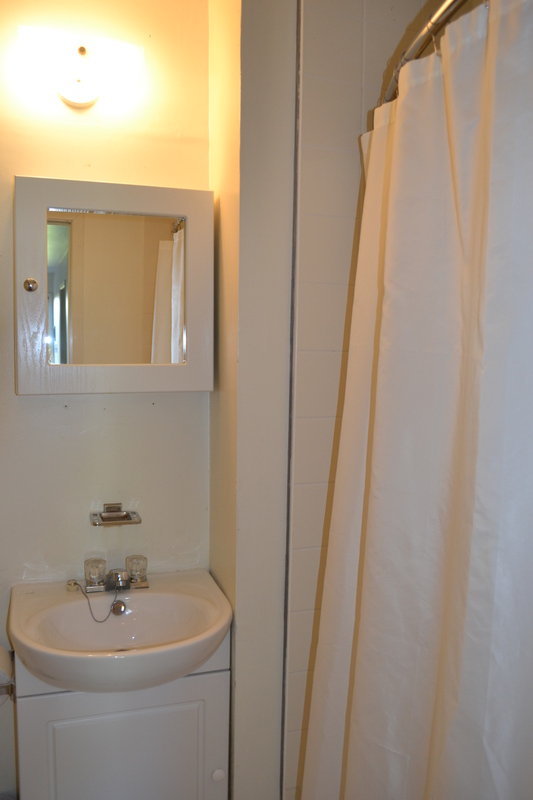 The lower unit “B”, has ideal access for disabled. 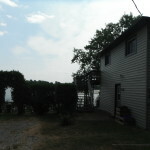 Note the enclosed kitchen on the lower unit and the pleasant waterfront area. 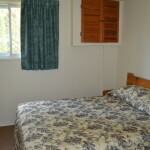 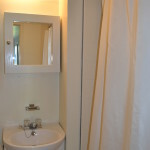 As in all cottages the living room- dining area has pull-out hide-a-bed sofa; there is a 4 piece bathroom; linen and towels are supplied with weekly booking. 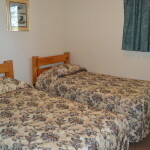 Bookings less than a week the linens are supplied but you must bring your own towels , ceiling fans in the bedrooms and living room, there is a color flat panel TV, DVD/VCR, in house cable system, radio, spacious patio deck, gas BBQ, patio furniture, picnic table; and, last but not least, we have the ever-popular individual camp fire pit in spacious surroundings for evening social activity (not to mention the smors, burnt marshmallows and weenies) around a fire. 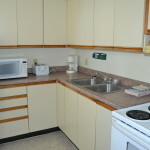 All kitchens are all fully equipped in the same way from cottage to cottage including 2 door frost-free fridge, electric range, microwave, drip coffee-maker, dishes, cutlery, pots and pans, everything from salad bowls to wine glasses. 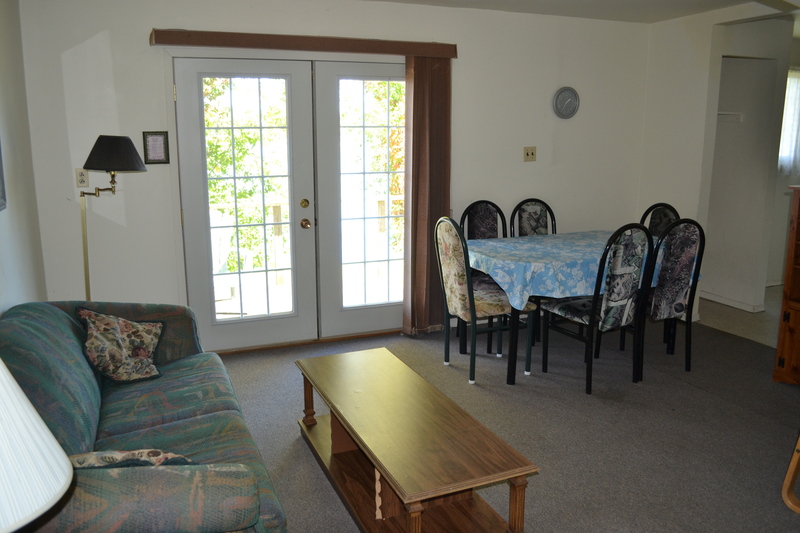 Living-dining, kitchen, bathroom, and bedroom areas of the different Highland View units vary mainly in configuration. 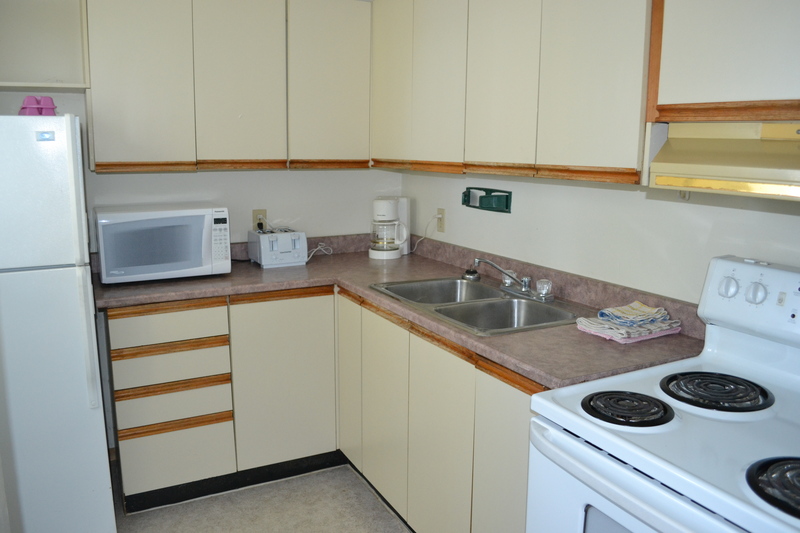 See the floor diagram and photos on this page for an idea of the layout and appearance of this unit.